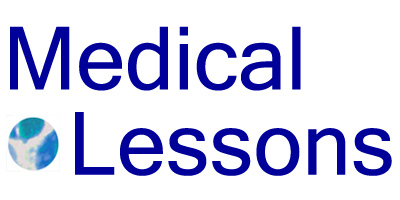 This blog provides general information and discussion about medicine, health and related subjects. The words and other content provided in this blog, and in any linked materials, are not intended and should not be construed as medical advice. If the reader or any other person has a medical concern, he or she should consult with an appropriately-licensed physician or other health care worker. Never disregard professional medical advice or delay in seeking it because of something you have read on this blog or in any linked materials. The views expressed on this blog and website have no relation to those of any academic or other institution with which the author is affiliated. The Author provides the Site and any services, information, opinions, content, references and links to other knowledge resources (collectively, “Content”) for informational purposes only. The Author does not provide any medical advice on the Site. Accessing, reading or otherwise using the Site does not create a physician-patient relationship between you and the author. Providing personal or medical information to the Author does not create a physician-patient relationship between you and the Author. The Content may be changed without notice and is not guaranteed to be complete, correct, timely, current or up-to-date. Similar to any printed materials, the Content may become out-of-date. The Author undertakes no obligation to update any Content on the Site. The Author may update the Content at any time without notice, based on the Author’s sole and absolute discretion. The Author reserves the right to make alterations or deletions to the Content at any time without notice. Opinions expressed in the Site are not necessarily those of the Author. Any opinions of the Author have been considered in the context of certain conditions and subject to assumptions that cannot necessarily be applied to an individual case or particular circumstance. The Content may not and should not be used or relied upon for any other purpose, including, but not limited to, use in or in connection with any legal proceeding. From time to time, the Site may contain health- or medical-related information that is sexually explicit. If you find this information offensive, you may not want to use the Site. This Site is open to the public. You should consider comments carefully and do not post any information or ideas that you would like to keep private. By uploading or otherwise making available any information to the Author in the form of user generated comments or otherwise, you grant the Author the unlimited, perpetual right to distribute, display, publish, reproduce, reuse and copy the information contained therein. The Site may, from time to time, contain links to other (“third party”) web sites. These links are provided solely as a convenience and not as a guarantee or recommendation by the Author for the services, information, opinion or any other content on such third party web sites or as an indication of any affiliation, sponsorship or endorsement of such third party web sites. The Author is not responsible for the content of any linked or otherwise connected web sites. The Author does not make any representations or guarantees regarding the privacy practices of, or the content or accuracy of materials included in, any linked or third party websites. The inclusion of third party advertisements on the Site does not constitute an endorsement, guarantee, or recommendation. The Author makes no representations and/or guarantees regarding any product or service contained therein. Content made available at the Site is provided on an “as is” and “as available” basis without warranties of any kind, either express or implied. Under no circumstances, as a result of your use of the Site, will the Author be liable to you or to any other person for any direct, indirect, incidental, consequential, special, exemplary or other damages under any legal theory, including, without limitation, tort, contract, strict liability or otherwise, even if advised of the possibility of such damages.